My kids are pretty amazing. I know all parents say that about their children, but to me, my kids are my world. They get along well, but, like in all relationships, there are bound to be disagreements. It’s important to me that they learn that it’s okay to disagree with one another, but that doesn’t always mean they are right. There’s a big difference between disagreeing and still respecting someone else’s right to an opinion versus being adamant that the other person is wrong. I want them to learn that everyone has a right to an opinion, so here’s how we model it for them. Disagreements over things don’t have to lead to a sibling battle, they can lead to compromise. Teaching this is, of course, not always easy. So, we start with small things – like pizza. The conversation usually starts by asking what everyone would like on the pizza and, inevitably, there are disagreements. Since ordering one pizza for each person is out of the question, we talk about what we had on it last time and how this time we should have something different to accommodate everyone’s tastes. There’s usually one person who dislikes every other topping except her own choice, so we get half of one of the pizzas plain. 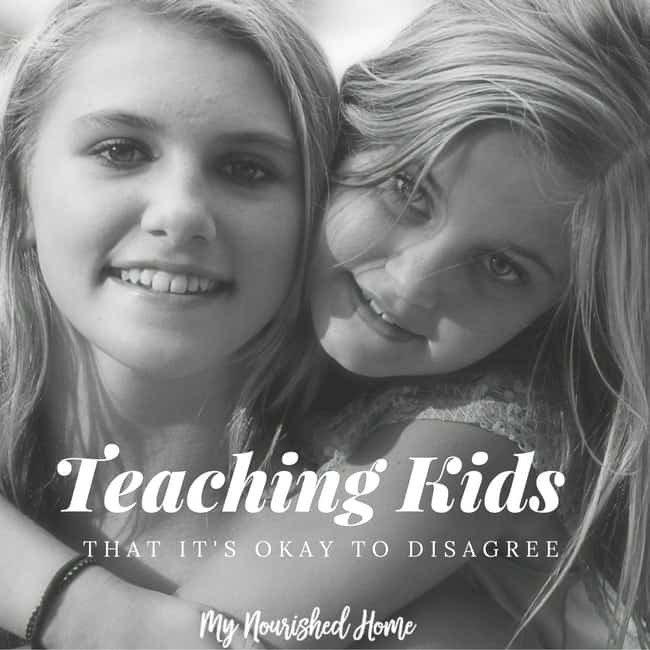 It’s a good compromise and teaches the girls that it’s okay to disagree, but that just because they have a different opinion doesn’t mean they’re going to get their way. There have been many times when the kids were arguing over a television show or what game to play outside that I’ve been tempted to step in and referee. That’s family life, right? Instead of stepping in and resolving the conflict for them though, when they come to me to have me solve their problem, I tell them to work it out. I explain that they should listen to each other with open minds, be respectful, and then come to a conclusion that they can both agree to. This obviously takes longer sometimes than others, but they always work it out – or get bored of arguing and move on to something else – despite their differences. Learning how to disagree and still be respectful isn’t just a skill that the girls need to learn now, it’s a skill that they’ll need to navigate the world around them for the rest of their lives. It is part of raising a positive child. I always stress that it’s absolutely okay to disagree or have a different opinion, even from an adult, but that they should express their dissent respectfully and look at the other person’s point of view with an open mind. It’s taught them a lot about conflict resolution, and it’s taught me how to be a better parent. 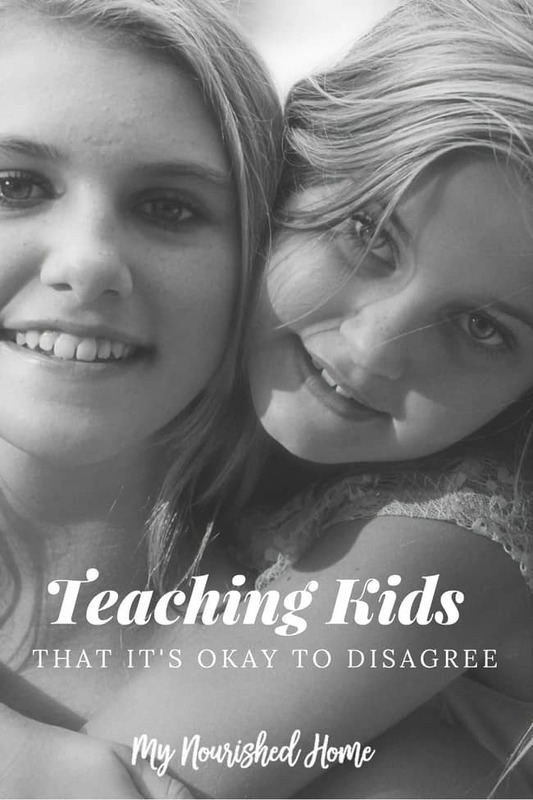 How do you teach your kids that it’s okay to disagree? I’d love to hear your suggestions!